As a result of poor critical reception and middling sales, Mass Effect: Andromeda never received single-player DLC. Interestingly, according to Anthem Lead Producer Mike Gamble, there wasn’t a foundation in place to support DLC. The same fate won’t befall Anthem post-launch. During an interview with USgamer at PAX West 2018, Executive Producer Mike Darrah referred to Anthem’s day one content as “the starting line of an experience.” Following this analogy, then, the finish line won’t soon appear. Anthem’s being a live-service title means BioWare can gradually release additional content over time. We don’t have to wait for full expansions anymore like our previous games, let alone other games in the [live-service] space. If you look at Dragon Age or Mass Effect you’d have to wait three, four, five, six months sometimes between big updates. We don’t have to abide by that anymore. We can actually, week-over-week, trickle out content. I can speak conclusively when it comes to Andromeda, the [post-launch] plans were never in place the way that they are for Anthem. The systems and tools weren’t in place to support the long-term plans, it was never like [Anthem]—never had a good, solid foundation to start from with that. Where with Anthem [post-launch] is a part of it. The job does not end on February 22. It only begins for us, really. I feel that there is a good, valuable game that you’re getting for 60 dollars–or for whatever a game cost these days–at launch that is worth the money. You would be able to play for months and months. Even if we weren’t then layering a live service on top of it. So, I think it’s an excellent value right off the start. You know, four Exosuits, a complete story. So, both I think it’s a complete package but it’s also the starting line of an experience as well. Darrah has touched on this before, promising Anthem will feel like a complete experience on day one. 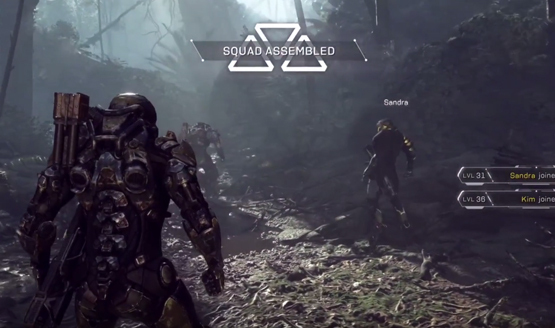 Fans will be able to decide whether BioWare delivers on this promise next year. Anthem launches on February 22, 2019.